India Times – India’s abject surrender in the first two Tests against England has drawn sharp criticism from some of the country’s celebrated former cricketers, who hoped the side would have the strength to bounce back. India’s abject surrender in the first two Tests against England has drawn sharp criticism from some of the country’s celebrated former cricketers, who hoped the side would have the strength to bounce back. 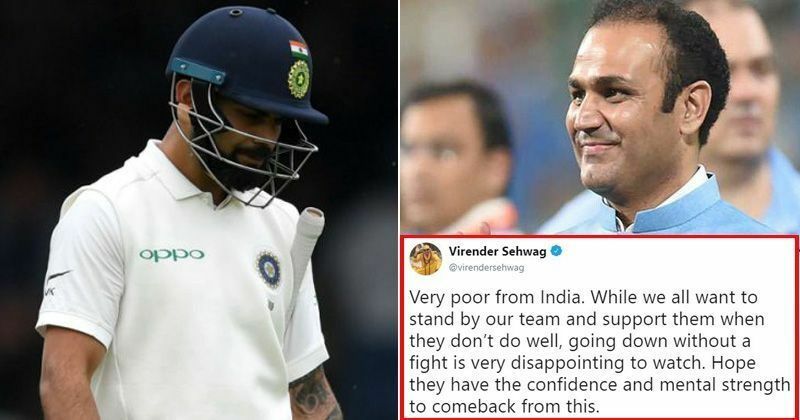 Virender Sehwag, Bishan Singh Bedi and VVS Laxman were among those who lamented the lack of fight shown by India in the second Test against England, losing by an innings and 159 runs to go 0-2 down in the five-match series. “Caught in unfavourable conditions, not reading what the opposition threw saw India lose the Lord’s Test tamely without showing a fight. Former India batsman Mohammad Kaif said the team’s performance was painful to watch. Another former batsman Vinod Kambli said India have plenty to think about ahead of the next Test. County cricket: Surrey start defence against Essex and more – live! Indian Premier League for women to become a reality in 3 years?